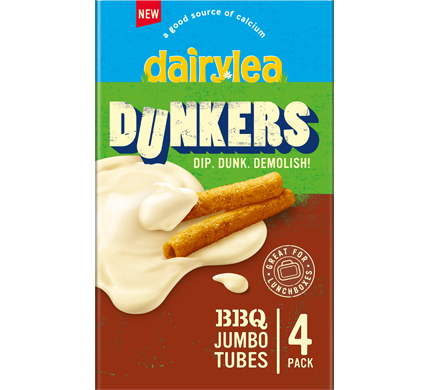 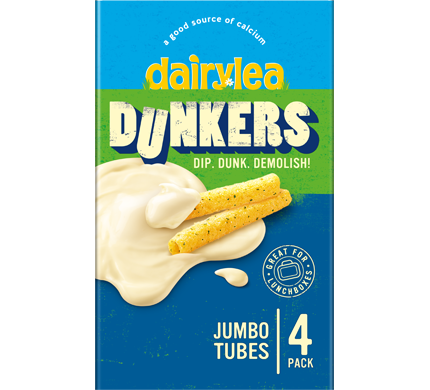 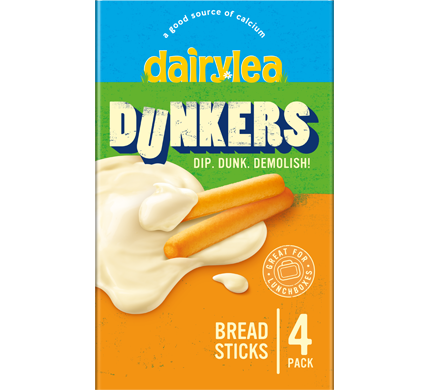 Our Jumbo Tubes Dunkers are a fan favourite, combining our tasty and crunchy dipper with our yummy cheese dip! 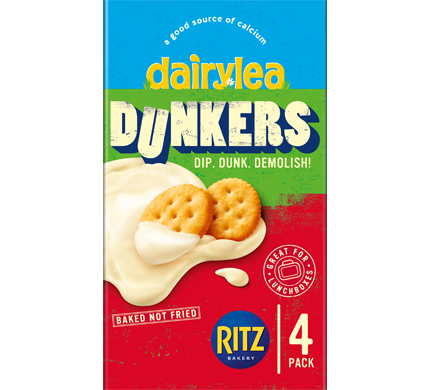 Great for Lunchboxes! 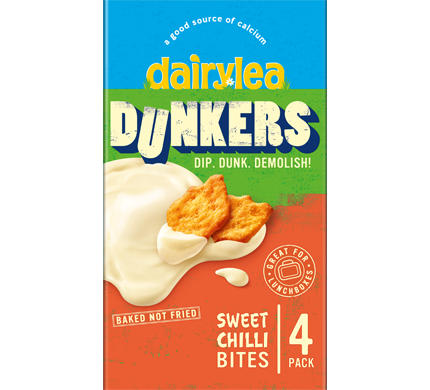 Available in Multipacks of 6x 45g, 4 x 45g and 45g singles packs. 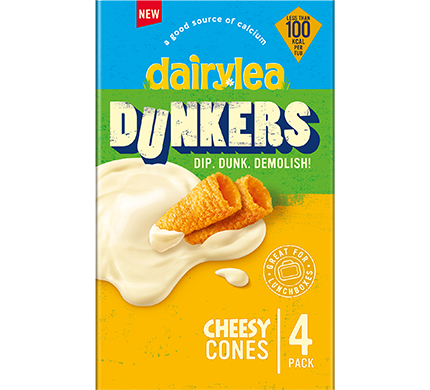 Corn, Potato Powder, Palm Oil, Flavourings, Sugar, Onion Powder, Salt, Yeast Extract, Parsley, Garlic Powder, Acids (Malic Acid, Citric Acid), Emulsifier (Mono- and Diglycerides of Fatty Acids).